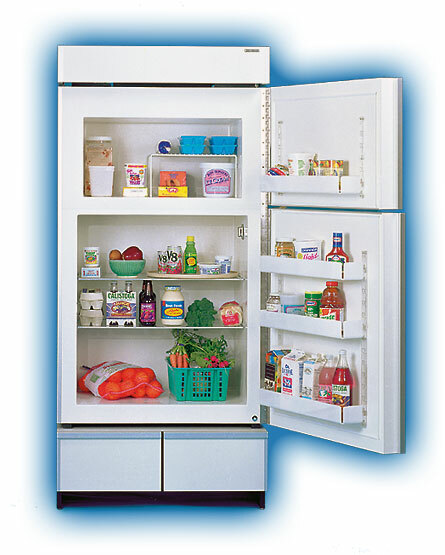 The Sun Frost RF16 is an extremely efficient full-size refrigerator. It has two independent cooling systems and temperature controls. In fact, one compartment may be left running while the other is shut off. The uniquely designed cooling coils on the outside of the Sun Frost do not require fans. The Sun Frost RF16 may be mounted on a 13-inch high cabinet for maximum convenience. RF16 has the largest refrigerator compartment.